The government’s green paper, “Fulfilling our Potential: Teaching Excellence, Social Mobility and Student Choice”, sets out a series of reforms which some fear may signal a dramatic shift towards marketisation for universities in England. The Higher Education Green Paper is a policy document and has to go through a process of consultation until 2016 and then be voted on in Parliament before it becomes a law. The Government has said that the bill’s aim will be to “put students at the heart of higher education. The reforms are designed to boost teaching standards, support more people into university from disadvantaged backgrounds, and ensure better value for money and employment prospects for students.” However, the proposal has already created some concerns, especially among students. Critics predict the Green Paper will lead to higher tuition fees, a two-tier university system, increased state and market intervention in higher education, as well as more bureaucracy, and less autonomy for Students’ Unions. The Green Paper aims to provide “financial incentives” for universities to improve. 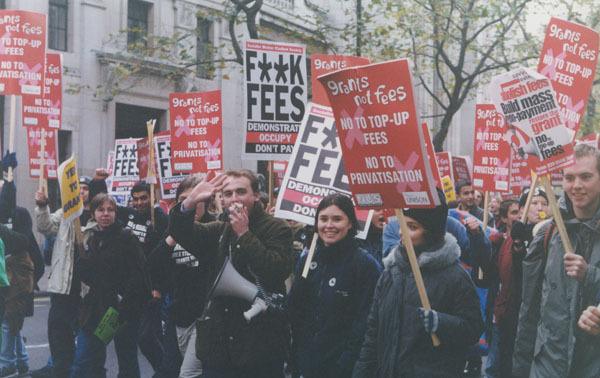 From 2017, fees will rise – initially, in line with inflation. However, loan repayments will not rise in line with inflation, meaning that students will be expected to spend longer paying them back. This affects both current students and graduates. However, a Government press release highlights their belief that the new system would “establish a level playing field in the regulation of new and established universities and a single gateway for those wishing to enter the market.” Asked to comment on the TEF, the University of Sussex said: “The satisfaction of our students has always been and will continue to be of paramount importance to the University. We are still considering the implications of the Teaching Excellence Framework so it is too early for us to comment.” The Guardian argued in a recent editorial that the Green Paper’s “proposals for teacher rankings are frighteningly vague, and it completely fails to consider the needs of part‑time or mature students.” The Government hopes to allow “students to choose from a wider range of high-quality higher education providers by making it less bureaucratic to establish a new university through faster access to Degree Awarding Powers and University Title”. To do this, the paper welcomes private providers: they will have “quicker access to student funding” and there will be no required number of students for institutions to become universities. Concerns have been raised that, along with this, the Green Paper has a chapter on universities “exiting” the “higher education market”. The Green Paper clearly foresees universities going bankrupt, and will make it easier for them to leave. They will, however, allow students to choose between moving to a comparable course somewhere else and a refund. As part of the shift towards privatisation, the Green Paper proposes getting rid of Freedom of Information requests, which critics say will make it harder to hold universities accountable. Another proposal in the Green Paper is to create a new organisation to oversee the TEF called the Office for Students “to empower students, strengthen competition, drive equality, eliminate unnecessary bureaucracy and save taxpayer money”. It would combine the Office of Fair Access, which widens access to higher education and ensures equality, with the Higher Education Funding Council for England. Prime Minister David Cameron has said he wants to “increase the proportion of disadvantaged students entering higher education and increase the number of BME [black and minority ethnic] students by 20% by 2020” Linking funding and fair access to universities is seen by many as a shift towards treating students as consumers.